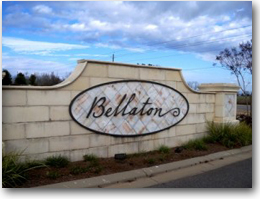 Time to sell your home in Bellaton? Read about today's buyer. Bellaton is a very peaceful and beautiful area, with scenic lakes, large oak trees, and large wooden swings that you can enjoy the view of the lakes and sunset in. There is a clubhouse with an expansive outdoor pool with zero-entry on one side, making it ideal for small children and adults alike. The pool is surrounded by a sundeck with lounge chairs for those who prefer sunbathing to swimming. The cabana area by the pool is ideal for parties who want to enjoy a quick lunch in the shade before diving back into the pool. An outdoor shower is available to rinse off in before heading back home for a barbecue or just to take a walk through the neighborhood. Between the amenities, beautiful homes, and lush landscape, Bellaton is an ideal place to make a home in Daphne, Alabama! If you would like to schedule a private viewing, need more info or have questions concerning Bellaton or any other property, please email info@condoinvestment.com or call 251.978.3718 for immediate assistance. info@condoinvestment.com or call 251.978.3718 for immediate assistance. Bellaton is located minutes from restaurants, entertainment, and shopping centers such as the Eastern Shore Shopping Centre. The Gulf Coast beaches are approximately 50 minutes from the community of Bellaton. Find more information on Gulf Shores condos and Orange Beach condos and helpful resources such as our detailed property search and interactive maps.